This guide discusses how to disqualify an expert witness due to bias, or during the voir dire process, how to exclude an expert witness, motions for a Daubert challenge of an expert witness and what happens if your expert witness is disqualified. Expert witnesses are hired to provide details, remove confusion or connect certain evidence and persons to the incident where someone has been wronged or injured. However, sometimes these professionals are disqualified because they have bias with the other party, a conflict of interest or a bias with the case itself. To remove an expert witness during the initial states of a case, it is important to validly disqualify him or her within voir dire with objections or motions filed by the opposing lawyer early. This process often requires specific knowledge of reliable testing methods as applied to various pieces of evidence or knowing if the expert is a relevant professional for the field of study. It is possible to increase the success of a trial for criminal cases or with civil claims by excluding a witness that has little relevance or who uses unreliable testing methods. 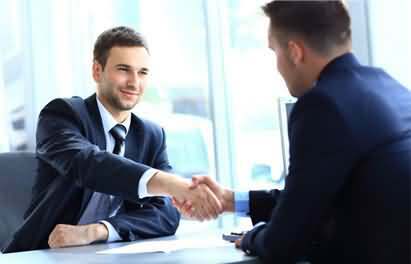 By excluding the witness’ testimony, the opposing legal team is able to remove any connection of that specific professional from the case and increase strategy implementation. Before a medical malpractice case may proceed in the courts of law in Florida, the state has a requirement of an opinion being obtained by a qualified medical expert to explain that the claim has merit. If those in the case do not follow the correct procedure, the expert witness could be disqualified, and the case may be thrown out. It is important to succeed in a Daubert challenge when the expert witness may face disqualification and knowing what types of motions are possible may increase the possibility of a positive outcome to the challenge. It is essential to first identify when the challenge will happen and when the opposing legal team deems it necessary for the case. Some high profile or special interest cases expose concerns over disqualifying an expert witness based on various aspects of the professional and the circumstances of the case. There are some claims where the professional has a conflict of interest that may cause disqualification even in light of public interest concerns with the expert witness. Disqualifying the opponent’s expert witness is often necessary when the case demands progress and additional assistance. However, doing so may be complicated and difficult depending on various factors such as a credible individual with extensive years of experience and knowledge. 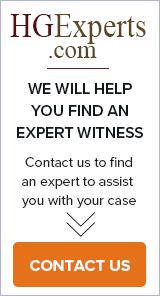 What Happens If Your Expert Witness Is Disqualified? No matter how qualified the expert witness appears for a certain case, disqualification happens in more than half of the cases depending on either criminal or civil processes. When the profession is no longer a designated expert witness, it is still possible to keep him or her to help find and assess a new expert witness to help the case.